Got a dog? 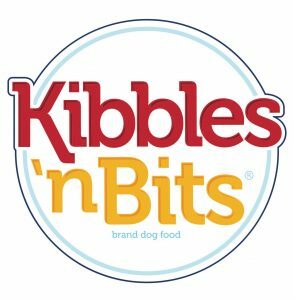 Feed your best friend Kibbles ‘n Bits ? You might want to read this. The Smuckers-owned dog food company is facing a consumer fraud class action lawsuit over allegations it used unsafe ingredients in its dog food – despite advertising that the food was safe. Filed by plaintiff Rosmarie Schirripa, the complaint claims that recently done tests of JM Smucker Co’s subsidiary Big Heart Pet Brands Inc. dog food shows that the food contains pentobarbital, a substance used to euthanize animals. Pentobarbital was found in samples Big Heart’s Kibbles ‘n Bits canned dog food. Don’t think that falls into the vitamins and mineral category. “Pentobarbital is a Class II controlled substance and there is no safe or set level for pentobarbital in pet food. If it is present, the food is adulterated,” the complaint states. Schirripa alleges in her complaint that she heard about the tests while listening to Washington, D.C.-based television station WJLA, which aired a report on February 8, claiming that tests at two laboratories had found pentobarbital in multiple varieties of Kibbles ‘n Bits canned dog food. Pentobarbital is routinely used to euthanize animals, both domestic pets and livestock, and survives the rendering process, Schirripa states in the proposed class action. “Defendants’ material omissions are false, misleading, and reasonably likely to deceive the public. This is true especially in light of the long-standing campaign by defendants to market all their products, including the contaminated dog food and ‘providing safe, healthy and high-quality food’ with the as healthy and safe with the ‘purest ingredients,'” the lawsuit states. In a voluntary recall of the products named in the complaint, Big Heart states the amount of drug found did not pose a danger to pets, Schirripa alleges. However, the defendant said the contamination had been traced back to cow, pig and chicken fat from a particular supplier, which it said it would not name due to potential litigation, and that it would now test its products for the drug and “enhance” its supplier oversight. Schirripa is seeking to bring claims both federally and in New York on behalf of any New York residents who purchased the food at issue between February 2012 and the present. The case is Rosemarie Schirripa v. Big Heart Pet Brands Inc. et al., case number 1:18-cv-02345, in the U.S. District Court for the Southern District of New York. Fingers slammed? Fingerhut got hit this week with a proposed Telephone Consumer Protection Act (TCPA), class action lawsuit filed by a man who alleges he has received calls from the company seeking payment for products he never bought. That’s a pain in the you know what. Filed by plaintiff Herman Fulwiley, the complaint states that he received numerous telephone calls made by an auto-dialer, in direct violation of the TCPA. Further, the calls continued even after he withdrew his permission for them to contact him by phone. Fulwiley states he received several auto-dialed phone calls from agents of Bluestem Brands Inc., Fingerhut’s parent company, over allegedly unpaid debts on products the company mistakenly sent him to fulfill a different order he placed. “As a result of Bluestem’s actions … plaintiff has suffered and continues to suffer stress, aggravation, emotional distress and mental anguish,” the complaint states. The backstory? In November 2016, Fulwiley purchased several items from Fingerhut, including a tablet computer, bedding and jewelry, according to the lawsuit. However, when the package arrived later that month, it did not contain the items he had purchased, rather items he had not purchased. He says he sent the package back to the company in an effort to return the items, obtaining a tracking number on the package “to ensure delivery,” the complaint states. Despite speaking directly to Bluestem in August 2017, and revoking his consent for the company to call him, he continued to receive calls, the lawsuit states. The Fingerhut lawsuit seeks to represent a nationwide class of people who receive any auto-dialed or prerecorded calls from the company within the last four years. It also asks a judge to order injunctive relief forcing the company to stop placing auto-dialed calls and to enter $500 for every negligent TCPA violation found, $1,500 for every knowing violation found and an award for court and litigation costs. The case is Herman Fulwiley v. Bluestem Brands Inc. et al., case number 1:18-cv-01964, in the U.S. District Court for the Northern District of Illinois. You are a Class Member if you purchased a Fat PS3 in the United States between November 1, 2006 and April 1, 2010 from an authorized retailer for family, personal, and/or household use and you: (1) used the Other OS functionality; (2) knew about the Other OS functionality; or (3) contend or believe that you lost value or desired functionality or were otherwise injured as a consequence of Firmware Update 3.21 and/or the disablement of Other OS functionality in the Fat PS3. In order to be eligible for a claim, you must provide at least one of the following: (1) your PS3 serial number; or (2) the PlayStation Network Sign-In ID (email address) you used to create a PlayStation account associated with your Fat PS3; (3) or the PlayStation Network Online ID (the handle you chose for communicating and game play on the PlayStation Network) associated with the PlayStation account you used with your Fat PS3. You are eligible to receive a cash payment of up to $65 if you submit a valid and complete Claim Form. Because settlement funds will be distributed to Class Members on a pro rata basis, the exact dollar amount that each Class Member will receive will depend on the total number of valid claims that are submitted. If you previously submitted a claim form in the earlier settlement in this matter, you will automatically be included and do not need to submit another claim form. Ok folks – that’s a wrap. See you at the Bar!